Globalization gives us new great opportunities. Something that the previous generation couldn’t even imagine. We are able to travel to other continents without a problem. It is a time when all people unite and start to understand each other better. No doubt, at least once in your life you met people from other countries. Wasn’t it amazing to learn something about a different culture? To taste their food, to watch their movies? Probably, one thing you were struggling with was the language these people spoke. Let’s stay open-minded and remember that not everybody is fluent in English. 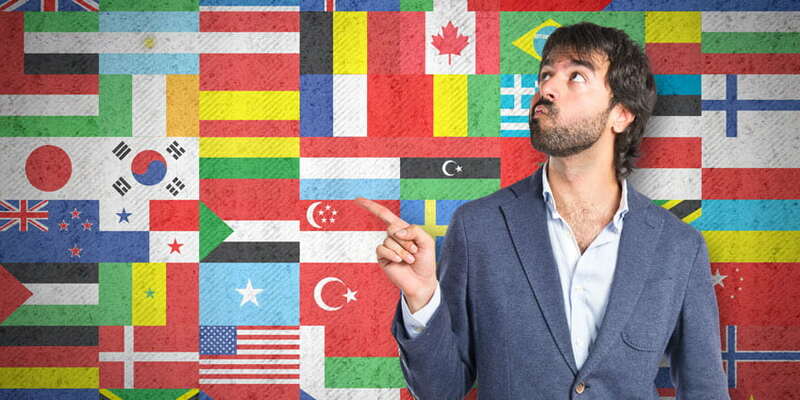 Being a native English speaker is great, however learning additional language gives you extra points whether you want to travel, date a foreigner or have better job opportunities. Once you start learning the language, you won’t be able to stop. Let’s take a look into how to make your learning process easy and fun and answer all your questions. You will be surprised to discover that English is pretty close to German, Danish, Dutch, Norwegian and Icelandic. So, Native English speakers are able to learn these languages very fast. However, it’s only up to you to make this choice. It might be difficult to learn any language if you are not genuinely interested in it. The language you plan to learn should be like your best friend or a partner. It can’t be a random choice. So, the easiest language to learn is the one you like. Before you start learning Spanish or Portuguese, ask yourself the next questions. Do you like the way it sounds? Are you interested in the culture? Do you have a possibility to practice this language? And the most important, can you imagine yourself speaking it? The thing is that you can start speaking the language even in a week of studying it. Of course, at first, it will look more like a childish talk. However, learning a new language isn’t so tricky as you may think. If you read this text now, it means that you managed to learn at least one language. You did it when you were a kid. Now you have experience, resources, and motivation. So, it only depends on you. That’s probably the most popular question people ask when they start learning a new language. Let’s say you want to learn French. Before you buy your ticket to Paris, think of the way you want to learn this language. You need to learn grammar, new words for the start. The are three ways to do it. The first option is to find a tutor in the city or via Skype. The second option is to go to language school. The third is to learn with books and Youtube videos by yourself. What do you like best? First of all, remember that it's you who will make all the effort anyway. Nobody will learn new verbs for you. So, anyway, you will be all by yourself when you learn. If you feel that you are disciplined enough, you can start learning the basics by yourself. However, if you need a little help, better to find a tutor. Not everyone is able to monitor own progress or make a schedule of lessons after work. Don’t risk here. Some people prefer to learn by sitting in a class. Consider this as well. The advantage of a language school is that you can practice with other beginners without a shame. On another hand, you will hear a lot of mistakes that your classmates make. The best what you can do is to combine all three options. You can find a lot of materials by yourself, practice basics in a group, ask the tutor to explain stuff in detail. It will help you to be constantly in touch with the language. How to surround yourself with the language? Needless to say, your target language requires a lot of practice. Humans tend to forget quickly, so the best option to learn and get fluent is to surround yourself with it. Can you imagine forgetting English one day? No. Just because you are using it every day. The same is with your target language. In the best-case scenario, you will travel to another country. Imagine being lost in a new city. You will need to communicate with locals in their language. Trying to find your way in another country might be very stressful and extremely useful for your learning process. This method was used by writer Elizabeth Gilbert who went to Italy with one dictionary and immense desire to learn Italian. She was in her thirties when she finally made her dream come true. This method obviously worked for her because she became fluent in Italian after only three months. Of course, not everyone is a writer with a $200,000 publisher's advance who can easily afford this kind of living. You can also get in touch with expats and find yourself a language exchange partner. It might be a fascinating experience because you can learn about a new culture and find a friend. Plus, it is free of charge. It’s an exchange, you also help another person to practice the language. Meeting people and speaking your target language is necessary. There are also other ways to surround yourself with the language. Devote at least half an hour every day to listening podcasts. It seems easy because all you need to do is listen. 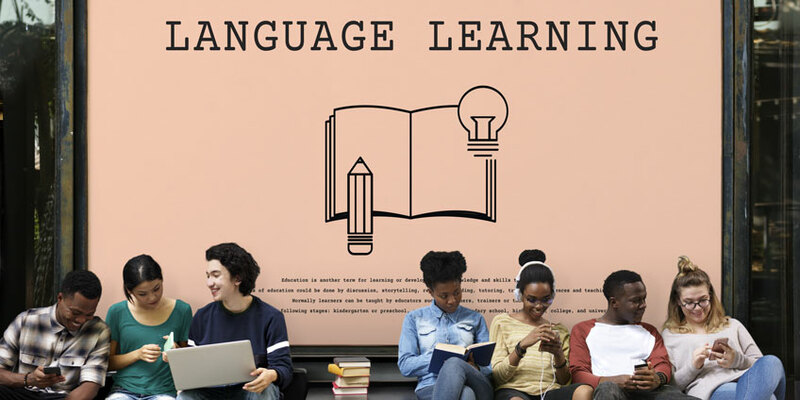 However, this is very important because it will help you to get used to the language, practice pronunciation, learn new words(some you will understand from the context). If you like series or TV shows, it is excellent! Finally, you can relax and learn at the same time. There is nothing wrong with watching a TV show tonight. Just make sure to find Polish version of X-factor(if you learn Polish) instead of a usual one. If you master your Russian, it's better to get yourself children’s book first. Don’t run after Dostoevsky on your first week. Take it easy, step by step. Charming Bradley Cooper speaks fluent French, and Natalie Portman managed to learn six(!) languages (French, Spanish, Japanese, Hebrew, and German). So, believe it or not, you are able to do the same and even better. Learning a new language is an adventure. You can not know how many amazing people you will meet on your way, where it will lead you and when it will rescue your life. The language is a key, and it’s time to open the door.